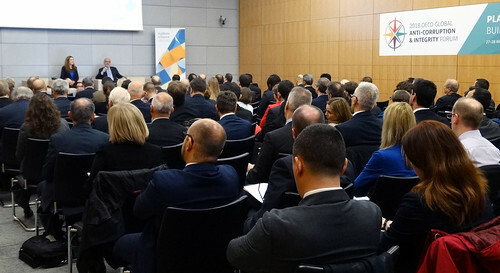 The launch meeting of the Auditors Alliance took place on 26 March 2018 at the OECD Headquarters in Paris, France and included sessions for sharing internal and external audit insights and better practices. Please note that you may still sign up to receive the Auditors Alliance newsletter or information on future events and activities. The Launch Meeting took place back-to-back with the 2018 OECD Global Anti-Corruption & Integrity Forum on 27-28 March. We debated how integrity in government, business and society enhances the benefits of globalisation and reduces the inequality gap. Integrity creates a level playing field for business, reduces socio-economic inequalities and makes public policies more effective. This is our challenge for the future: Planet Integrity. One of the sessions focused on Risk Management & Public Infrastructure.